There’s only one word that truly describes how we feel about the PC – Passionate. Never before has that passion been so evident as with our new 100% aluminum mATX MX3 chassis. Over six months of development, we’ve obsessed over every detail in the MX3 to ensure that it’s something to behold, something that conveys how passionate we are about our products, this industry, and our customers. Learn more below about the fruits of these labors, the stunning new MX3 from Velocity Micro. Whether you're looking for a gaming PC, a workstation, or just a powerful home office PC, the MX3 is the place to start. 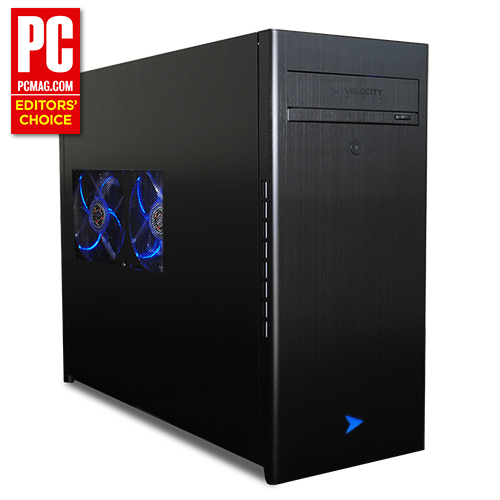 A PC Magazine Editors' Choice winner! 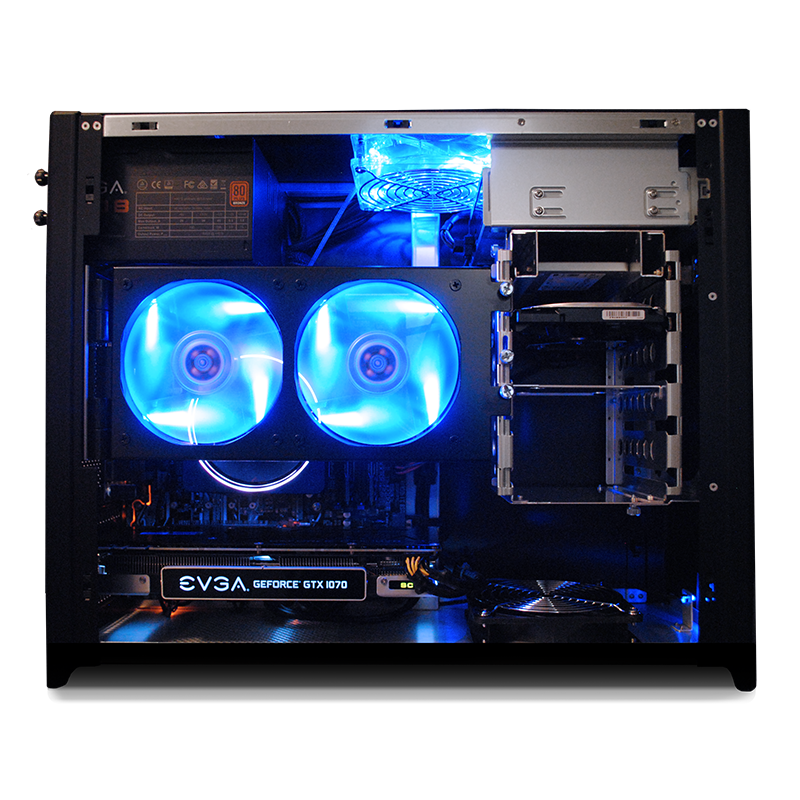 The MX3 chassis is a mATX design without the limitations often seen in that form factor. Able to handle two of the largest graphics cards on the market like the NVIDIA GeForce GTX 1080Ti with ease and supporting extremely powerful PSUs, the MX3 is something truly innovative and vastly powerful. Just because it’s small, doesn’t mean there isn’t room for loads of storage. Able to hold up to SIX hard drives, the MX3 is in a class by itself. We intended the MX3 to be sleek and modern, with an aesthetic that fits in any office, dorm, or living room. 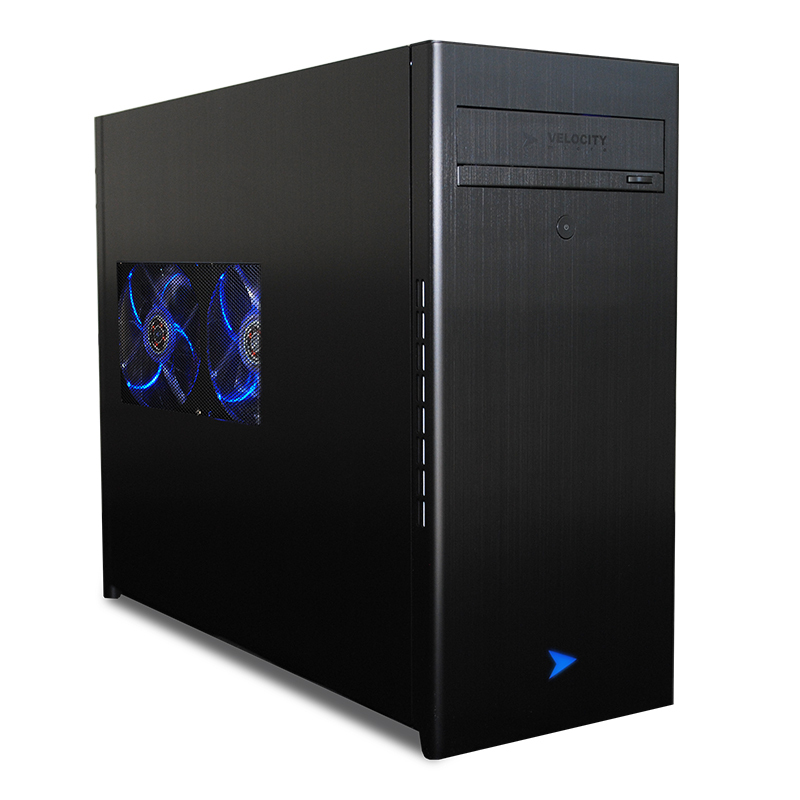 The solid front panel, clean straight lines, and understated lighting is a welcome change to the flashy and garish designs of the performance PC industry. This is a PC you'll be proud to show off. Not only did we design the MX3 chassis to be pleasing to the eye, we also created it to fit virtually anywhere. 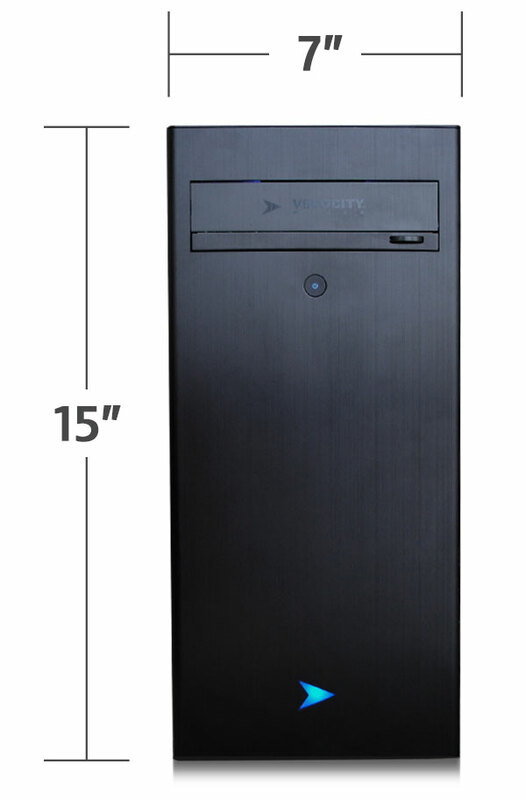 Gone are the days when an ultra-performance PC had to be too cumbersome to move or too large to fit on a desk. At just 15” x 19” x 7”, the MX3 is as compact as it is stylish without sacrificing one drop of muscle. 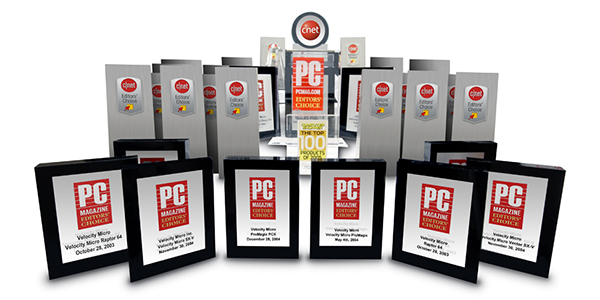 Since our first review in 2002, no PC manufacturer has won more awards from the press than has Velocity Micro. Featured in CNET, PC Magazine, PC Gamer, Maximum PC and many more, Velocity Micro PCs continue to be lauded by reviewers and customers alike for its performance, build quality, and stunning design. Our all-time most popular! 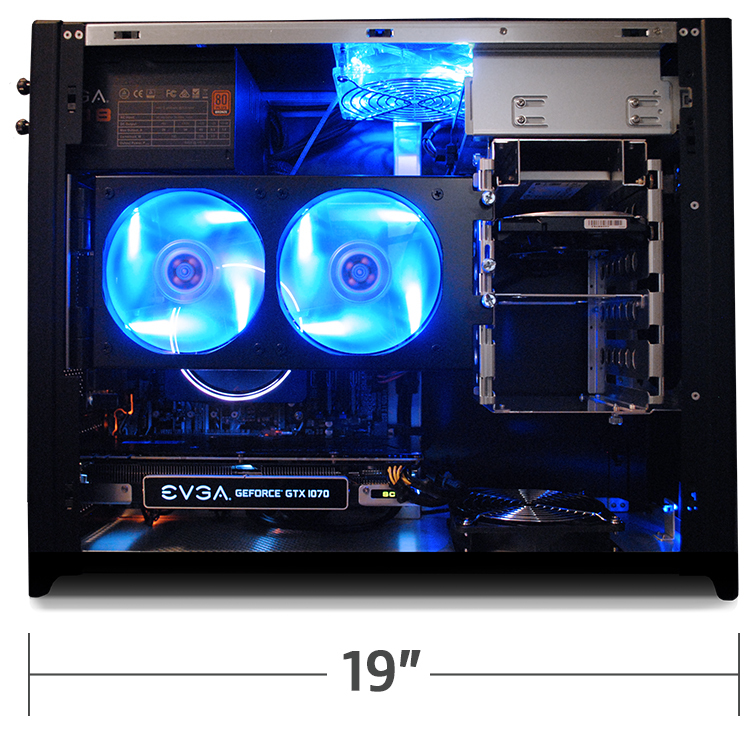 Available in our mATX MX3 case. VR Ready. Now featuring Coffee Lake 8th gen Intel Core Processors. Designed for high demand multi-threaded applications, the Raptor M60 powered by AMD's new Ryzen processors is redefining the high-end desktop. 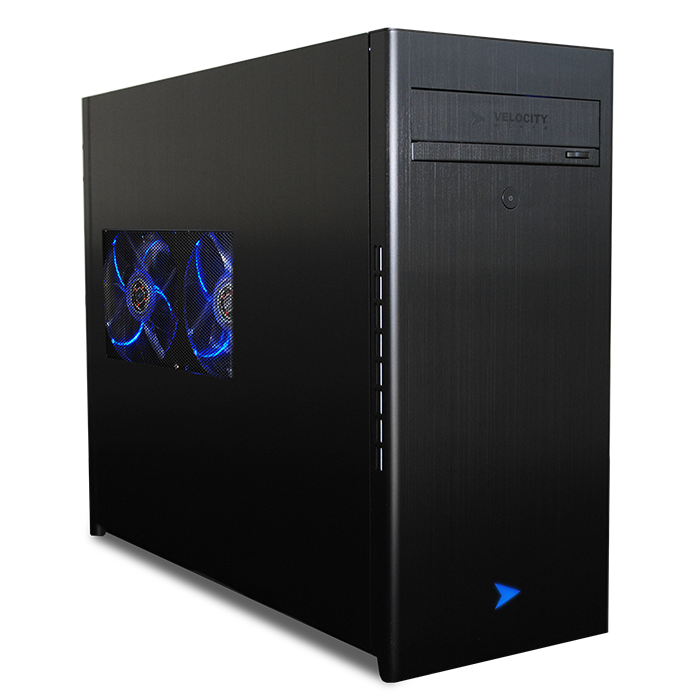 For top-notch audio, photo, and video editing on a budget, this workstation is perfect for enthusiasts and semi-professionals looking for more horsepower.